230 VAC is also available. Please specify when ordering. The Schiller ERG 911S Plus Ergometer, E-Seat is an easy-to-use and durable exercise device made to measure the amount of energy or work of physical exercise during a period of time. Robust Construction. Designed with a low frame, the ERG 911S Plus can easily be used by patients, most especially the elderly or handicapped patients without much help. It features a 4" x 3" large graphical LCD which shows ergometer parameters, user instruction, programming, and service information. 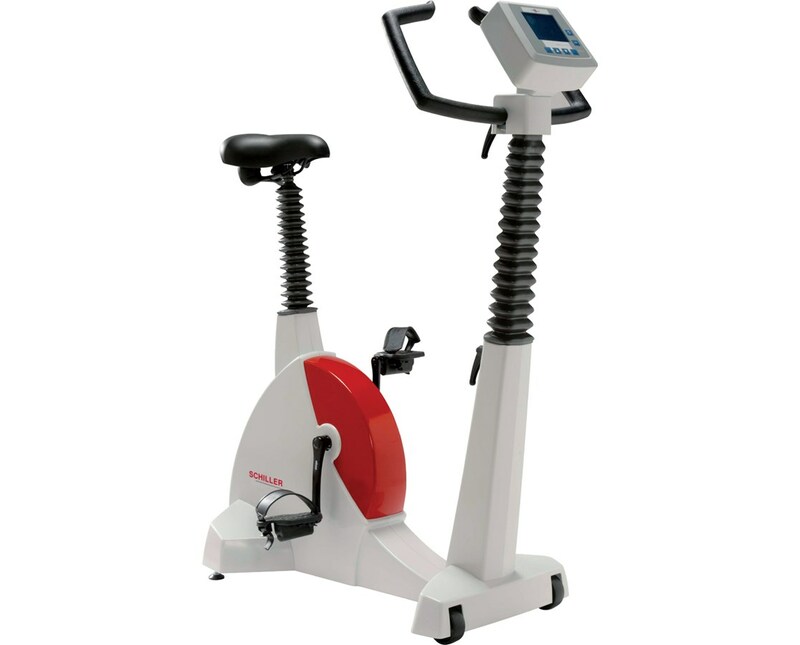 The Ergometer requires very little maintenance, functions extremely quietly and has a medical accuracy that is DIN VDE 0750-238 Compliant. Made of steel, the ERG 911S Plus can hold patients up to 160 kg (352.74 lbs. ), has a standardized saddle fixation for flexible use, and, because of its robust casing with acrylic coating, is easy to clean. Patient Safety and Ease of Use. With its easily programmable parameters, the ERG 911S Plus allows the clinicians to configure the exercise specifically to the patient's abilities and diagnostic requirements. Each test can be set-up to last from 1 to 99 minutes. It also offers manual load control in steps of 5 or 25 watts with a revolution range between 30 and 130 rotations per minute. It is automatically controlled by the computer via RS-232 port and ensures compatibility with all Schiller Exercise ECG Devices. 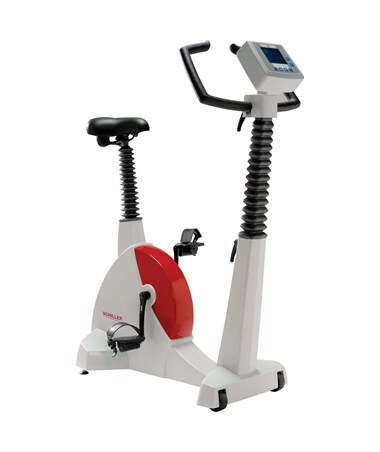 The Schiller ERG 911S Plus Ergometer, E-Seat comes with a 1 Year Warranty. Weight Capacity of 352.74 lbs.